Henri Piironen was first to act and folded. 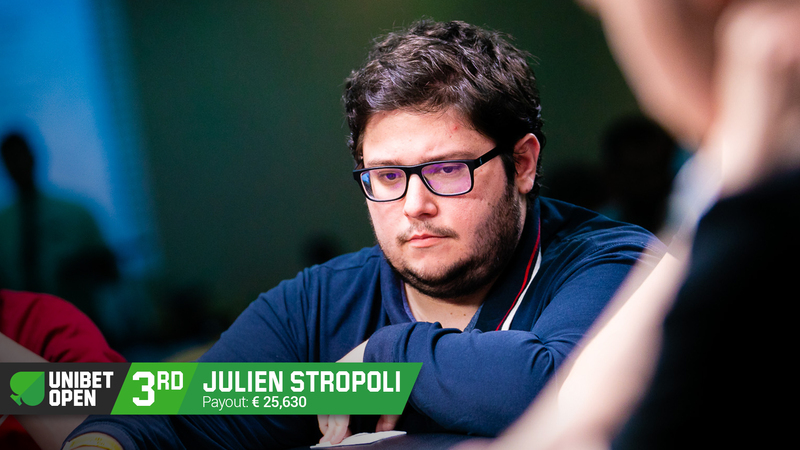 In quick succession, both Roberto Morra (510,000) and Julien Stropoli (945,000) shoved all in and Daniel Jacobsen called with lightning speed to put both players at risk. 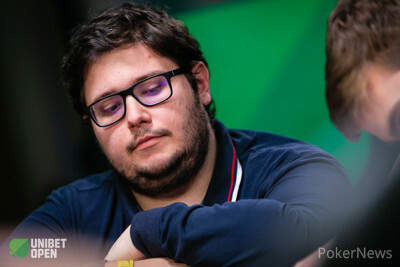 Jacobsen was the favorite to win the hand outright and suddenly, a heads-up match between Jacobsen and Piironen loomed. The :::Jh:::Th:::2c flop swapped Stropoli’s outs from the ace to the king, while Morra was drawing all but dead. The :::Qs on the turn made Jacobson more than a 90% favorite to win the hand and he scored the double knock-out on the :::7c river. 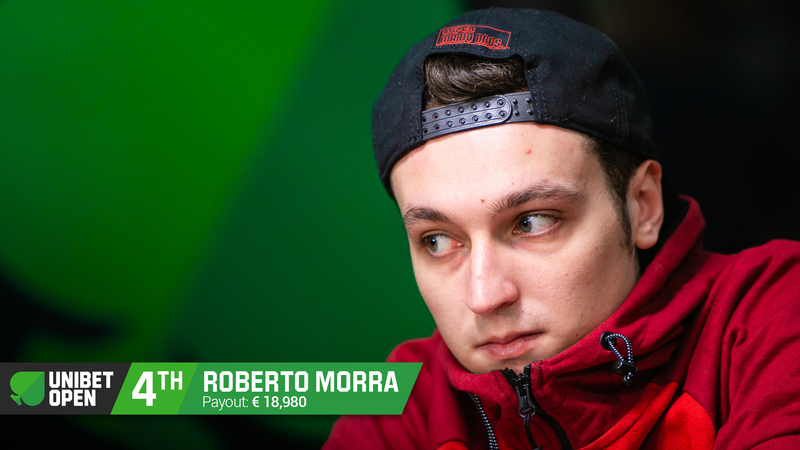 Morra, the shortest of stacks, ended up in 4th place (€18,980), while Stropoli received €25,630 for his third place finish. The heads-up will commence after a short break, with deep stacks for both players.